An Indian Coast Guard source told Express that all the ships are in the sea patrolling the coastline of India along with Indian Navy vessels. CHENNAI: The Indian Navy and Indian Coast Guard are on high alert on Wednesday along the coastline of Tamil Nadu amid escalation of tension between India and Pakistan after Indian Air Force carried out strikes on a Jaish-e-Mohammad (JeM) terror camp in Pakistan’s Balakot on Tuesday. A defence spokesman said that the Navy was on high alert but refused to divulge details. It is learnt that Indian Navy along with Indian Coast guard are patrolling the seas. 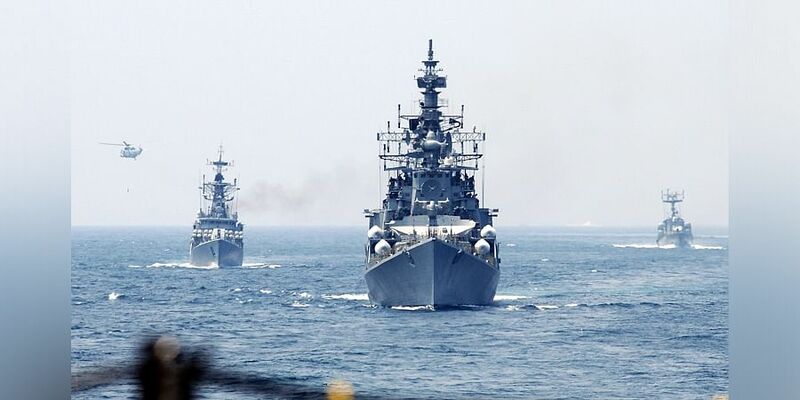 An Indian Coast Guard source told Express that all the ships are in the sea patrolling the coastline of India along with Indian Navy vessels. South India is home to critical infrastructure, including nuclear installations in Kalpakkam in Chennai and Koodankulam near Kanyakumari. It may be recalled that Pakistani militant group Lashkar-e-Taiba (LeT) also imparted sea training to the 26/11 terrorists who attacked Mumbai, a decade ago. The 10 terrorists of LeT, including Ajmal Kasab, who carried out the 26/11 Mumbai terrorist attacks used a dhow to travel from Karachi to Mumbai. “We are leaving no stone unturned and checking fishing vessels if we suspect something,” the coastguard source said, while urging fishermen to divulge information if they noticed anything suspicious along the coast. Indian Navy commander T Venkataramani (Retd) told Express that the Indian coast was now well prepared to handle threats like the 26/11 attack. "We have radars all around. We also have Coast Guard patrolling the sea with increased strength in vessels and interceptor boats being pressed into action. We are well prepared to take on Pakistan Navy and our Long Range Maritime Reconnaissance is such that we have the ability to patrol the seas from Australia to South Africa," said the veteran official.